Our Japan group tours are chock full of diverse activities including unique cultural experiences, fantastic landscapes & people photography, and all the beautiful temples and architecture which make Japan so iconic. This year we’ve added 3000 ft ropeways, riverside hot springs, magnificent waterfalls, and so much more. Best of all, we’ve managed to include these great experiences with highly rated accommodations at a fraction of the typical Japan small group tour cost. 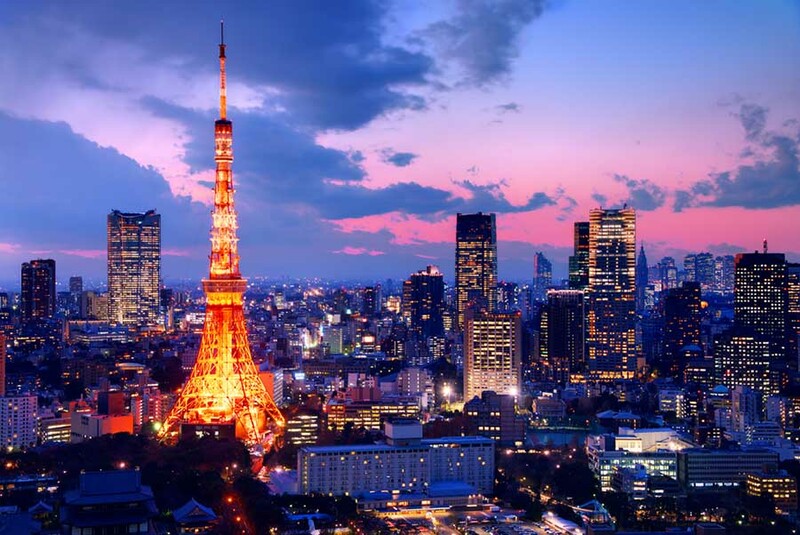 Everything that you have heard about Tokyo is true – and it is not. For if ever there was a city that you could not confine to one definition, this would be it. The never-ending hustle and bustle of the city creates an energy that is quite contagious. One minute you may be elevated 450 metres above ground overlooking Tokyo’s sprawling metropolis, the next you might be cheering on two sumo wrestlers tackle each other in the sumo stadium. Despite the presence of people and stores everywhere, there is an order that allows things to work efficiently, seemingly against the odds. Tradition and technology stand side by side in this city that can be whatever you want to make of it. – The Electric City: Experience Akihabara, an otherworldly place filled with bizarre “Japanime” oddities, neon signs, and streets & alleys lined with vendors selling every type of new and used electronics you can think of! 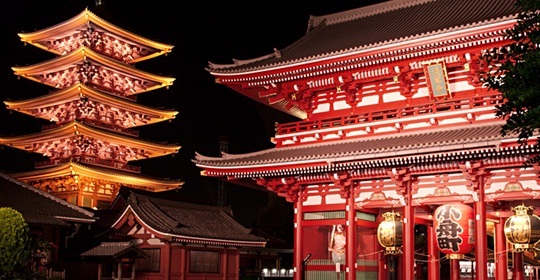 – Asakusa Kanon Temple (Sensoji Temple): See and photography Tokyo’s oldest and most famous Buddhist Temple. – Harajuku: Whether you are a goth, punk, or anything in between, there is a shop in Harajuku that caters for you and the photo ops and window shopping in and of itself makes the visit worthwhile. Not to mention, the famous Takeshita dori (Cat Street). Google it! – Meiji Shrine: Dedicated to the deified spirits of Emperor Meiji and his consort, Empress Shoken, the shrine was completed in 1920, eight years after the passing of the emperor and six years after the passing of the empress. The importance of this dynastic ruler resulted in the naming of the entire Meiji Period in Japanese history, thus making the shrine one of Tokyo’s most famous landmarks. 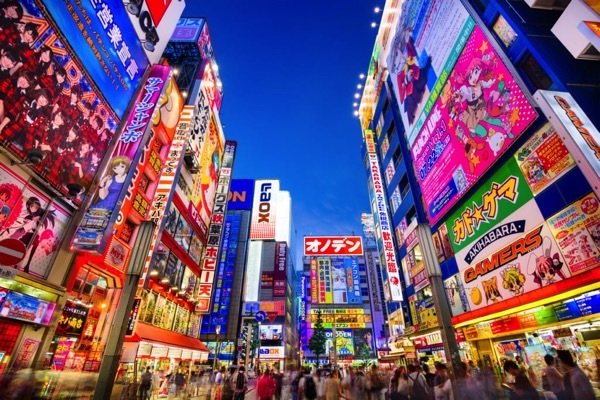 – Shinjuku: Great restaurants, shops, neon lights everywhere you look, and everything in-between. The “Times Square” of Tokyo! Need we say more? Central Honshū is home to the Northern Japanese Alps and Japan’s heartland. “Boasting some of Japan’s most magnificent peaks and dramatic scenery, the Northern Alps (北アルプス) are truly spectacular, with stunning 9500 ft peaks accessible even to amateur hikers. Also known as the Hida Range 飛騨山脈, the mountains are protected within Chūbu-Sangaku National Park (中部山岳国立公園).” – Lonely Planet. 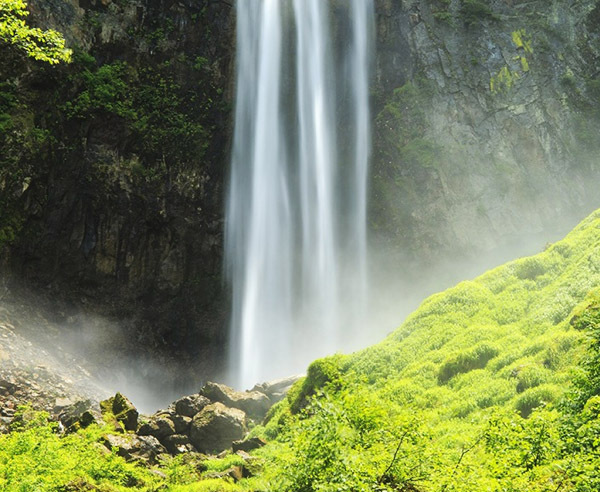 The sprawling Shin-Hotaka hot springs are also found here, offering dazzling waterfalls and numerous onsens (spas)! 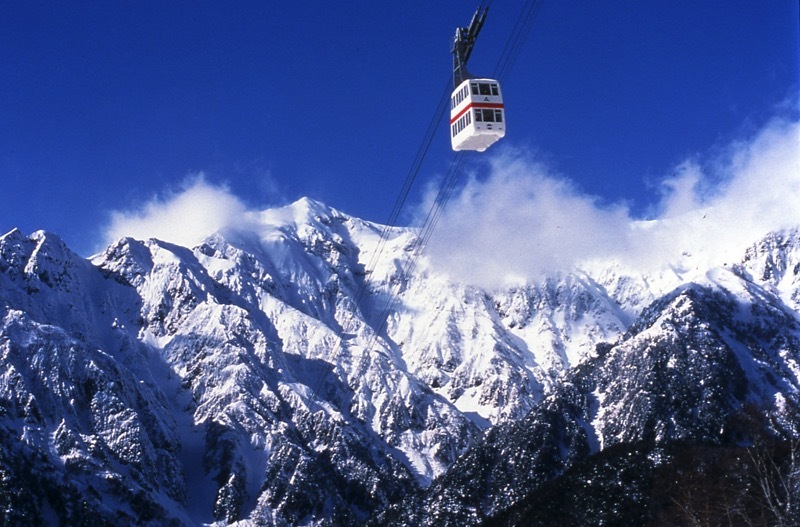 * Shin-Hotaka Ropeway : One of Japan’s most unique ropeways, it has the largest elevation gains in the country climbing over 3000 ft up the side of the Hotake Mountain Range! But it’s most distinguishing feature is Japan’s first double decker gondola cars offering excellent views of the entire Okuhida Region. * Shin-Hotaka no Yu Hot Springs: We’ll relax our weary muscles and enjoy the sounds of the Gamata river flowing gently beside us. This open air hot spring is in a beautiful setting and a perfect stop to experience one of Japan’s oldest traditions. * Hirayu Great Falls: This magnificent waterfall is over 200 ft tall and 20 ft across. Fantastic photo opportunities await from the perfect vantage point! Mountains in Japan were once believed to be the sacred dwelling places of divine spirits. The Hida, Kiso, and Akaishi ranges, known collectively as the Japan Alps, rise majestically in northern Honshu. Takayama lies in the heart of the Hida Mountains. Established in the 16th century as a castle town of the Kanamori family, it’s now famous throughout Japan for its old town area of narrow streets containing many well-preserved inns, tea houses, shops and merchants houses with latticed windows and overhanging roofs characteristic of the Edo period. The town has many shrines and temples of its own, giving rise to it’s nickname: ‘Little Kyoto’. Just on the outskirts of the town is the fascinating Hida folk village where old farm houses from across the Hida region have been brought together and rebuilt (beam by beam) on a hillside overlooking the town. 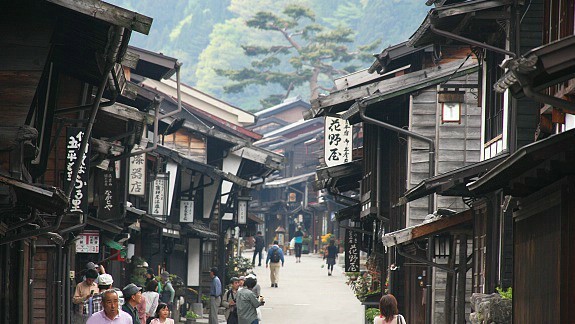 A stay in Takayama is a chance to get a feel for a way of life that really has all but disappeared from modern Japan. – Optional Takayama Morning Market: Located on the bank of the Miyagawa River, the market is famous and well worth a visit to see the stands selling local farm produce, flowers and crafts. We’ll get some awesome photographs of the local culture here. There are also great micro sake breweries where we’ll have the chance to sample the beer, Takayama’s most famous product! – Takayama’s Old Town: Visit and photograph the best and most interesting of Takayama on a privately guided tour. Head back in time as we walk the streets of this merchant town filled with old homes, shops, coffee houses and sake breweries, some of which have been in business for centuries. Other highlights include the Kusakabe Folk House & Floating Museum, & Yatai Kaikan (Festival Float House). – Optional Hida Folk Village Visit: This open air museum exhibits over 30 traditional houses from the Hida region, the mountainous district of Gifu Prefecture around Takayama. The houses were built during the Edo Period (1603 – 1867) and were relocated from their original locations to create the museum in 1971. In a village-like atmosphere, the museum features buildings such as the former village head’s house, logging huts, storehouses and a number of gassho-zukuri farmhouses. These massive farmhouses are named after their steep thatched roofs which resemble a pair of hands joined in prayer (“gassho”). They were moved here from nearby Shirakawago; these gassho-zukuri houses are the reason for the region’s World Heritage status. Hiroshima is a city that needs little introduction. It is of course well-known for being the site of one of two atomic bombs dropped on Japan at the end of the Second World War. Despite its tragic past, Hiroshima is now a bustling and vibrant city which has risen phoenix-like from the ashes. No visit to Hiroshima would be complete without sampling okonomiyaki, a Japanese savoury pancake. Choose the ingredients and one of the cooks makes it on a hot plate right in front of our eyes. If the smell doesn’t tickle your taste buds, the taste will leave you screaming for more. 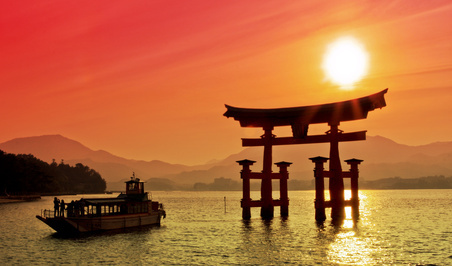 While in Hiroshima we’ll take a ferry ride to Miyajima Island where the world famous Itsukushima Shrine is located. – Memorial Peace Park, Museum, & A-Bomb Dome: Experience the poignant reminder that caused Hiroshima’s fame. An afternoon in this part of town might be sobering, but well worth it. 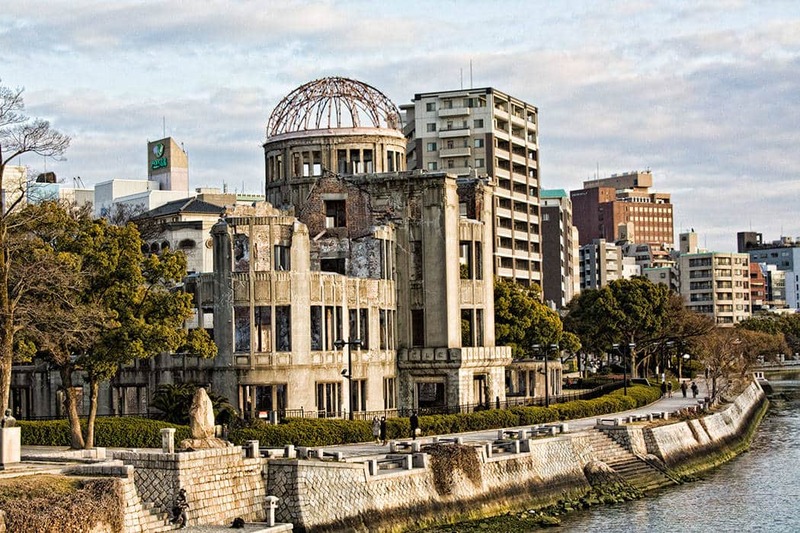 The museum tells us the story of this tragic day and we’ll get to walk around the park and see and photograph the A-Bomb Dome (Genbaku Dome), the the only structure left standing in the area where the first atomic bomb exploded on 6 August 1945. Miyajima Island: Miyajima is small sacred island located in the Inland Sea. It has been a holy place of Shintoism since the earliest times. Here we find perhaps the most photographed site in Japan; The Floating Torii Gate, designated an UNESCO World Heritage Site. It’s considered one of Japan’s ‘3 Most Beautiful Views! Oozing with tradition, Kyoto is the ultimate destination for anybody who wants to soak up honored Japanese culture. Home to 17 UNESCO World Heritage sites, over 1,600 Buddhist temples and 400 Shinto shrines, this ancient city showcases the heart and soul of traditional Japan. 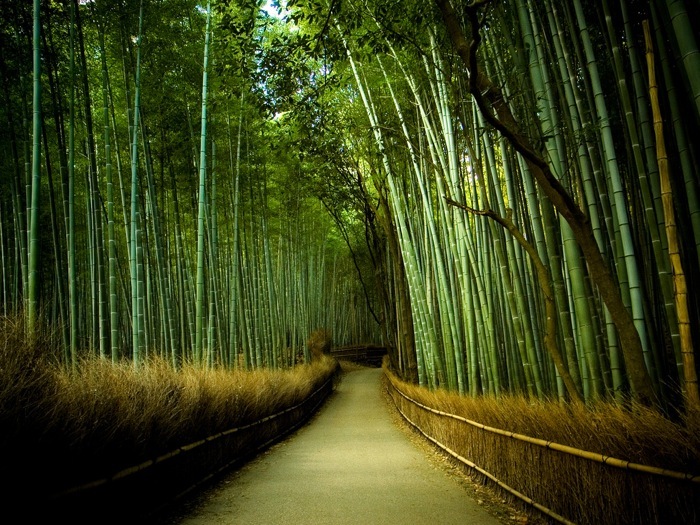 Kyoto boasts an array of world-class gardens, majestic festivals, and delicate cuisine. Together, they make up the rhythms of nature and the changing of the seasons. On first glance however, visitors will see that like any large Japanese city, grid-like Kyoto has its fair share of neon and concrete. But the discerning eye will soon pick out Kyoto’s treasures: sacred shrines tucked in among shopping arcades, honored teahouses nestled among modern businesses, and mysterious geisha scuttling down backstreets among the tourists and souvenirs. 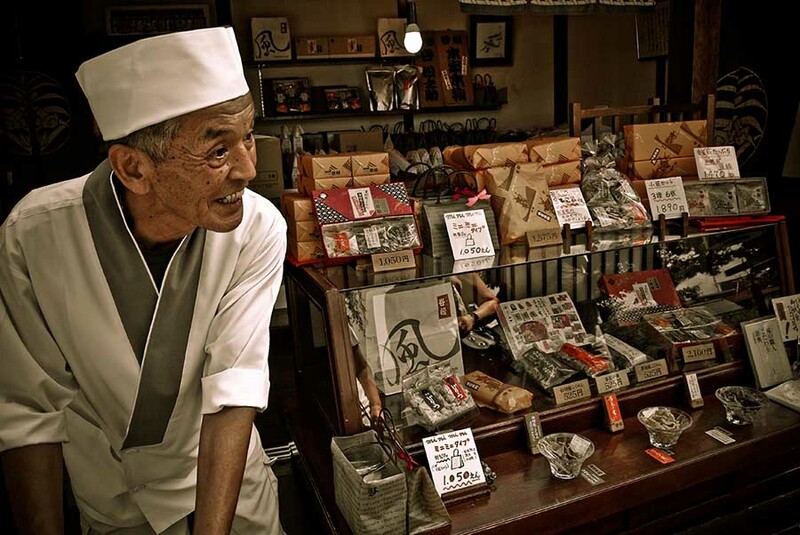 Kyoto’s charm lies in the details and the closer we look, the more we’ll discover. 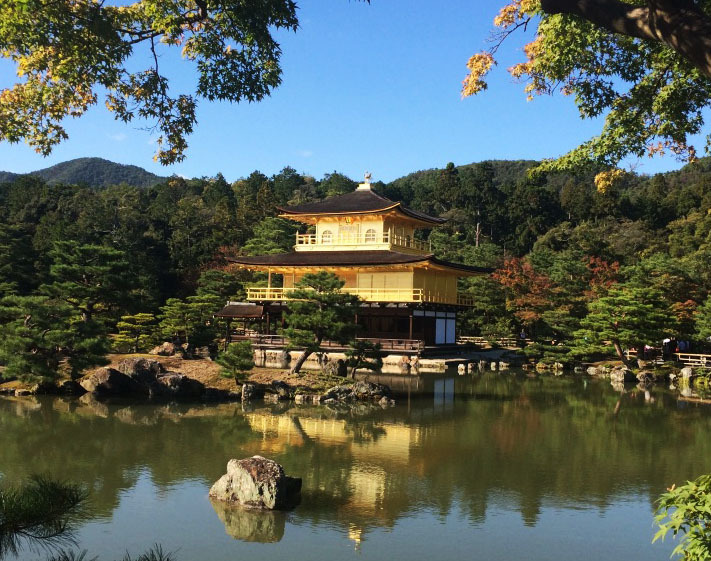 – Kinkakuji Temple (Golden Pavillion): Covered with 18 carat gold leaf, this three story structure was originally built by the Shogun Ashikaga Yoshimitsu in 1397. – Okochi Mountain Villa: The former “pad” of the popular samurai film star Okochi Denjiro (1896-1962), this famous villa consists of several beautiful gardens and buildings, including living quarters, tea houses, and a zen meditation hall. After exploring the grounds, we’ll enjoy matcha green tea which Japan has become so famous for. A unique “Buddhist Style” lunch will follow. – Monkey Park Iwatayama: While there won’t be any snow (thankfully), these Japanese Macques, also known as snow monkeys, are the northernmost-living nonhuman primates in the world! There bright red faces and human-like expressions make them ideal candidates for some awesome images and “portraits”. We’ll meander up a small hill to reach the park with a nice overlook filled with these feisty apes! 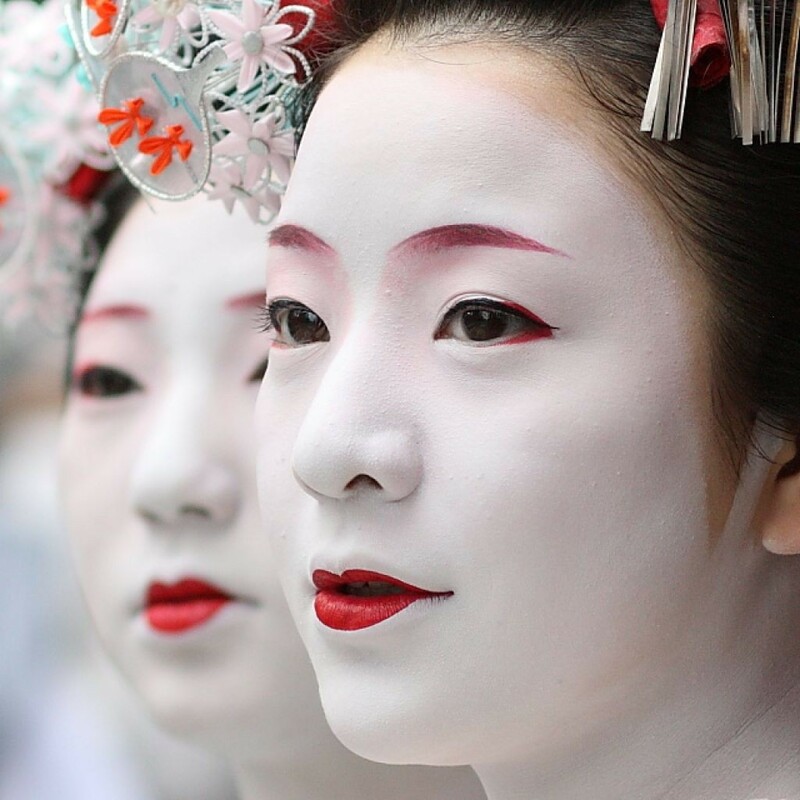 – Gion District (The Old Geisha Quarter) & Optional Geisha Photo Shoot: Experience the world famous Geisha’s in their ancient district of Gion. For those interested (not included) we’ll get to have an incredible experience in a local house with a Geisha! 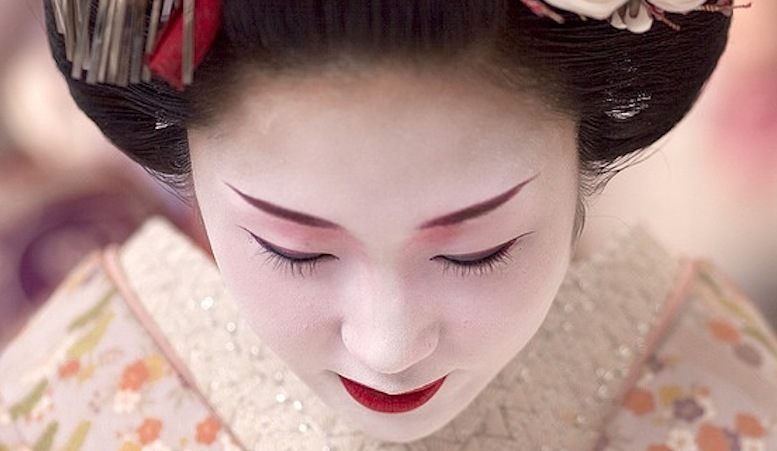 A private photo shoot will be arranged along with a Q&A to get the best possible shots in preferable lighting and learn about the amazing traditions and history of the Geisha culture dating back thousands of years! This is truly a unique experience during our time in Kyoto that few travelers get to say they’ve had. – Fushimi Inari Shrine: A PhotoFly favorite, this photography wonderland is an entire world of shrines and torii gates spread across an entire mountain in Southeast Kyoto! *Japan is a wonderful country to see by train and of course they’re world famous for their advanced bullet train system. For many of our journeys between each city we visit, we’ll use this fun and efficient way to travel the country. This is one place where local public transit is a lot faster than using a vehicle! * All Transfers, All JR Rail tickets, All Public JR Transit Passes, All Entry fees and activities as listed in the daily itinerary, & Taxes included! *There is a $100.00 administrative fee for all cancellations. Cancellations made 130 days or more prior to trip departure date are fully refundable except for the $100 fee. Cancellations less than 130 days prior to trip departure date will receive no refund of full amount due. No refunds on unused portions of the tour. After airline tickets are issued, airline cancellations are per the airline’s policy and are usually non-refundable and changeable with a fee plus new ticket price. *Travel insurance strongly encouraged (ask us about policy options).